Gunning your way through hordes of alien invaders in a video game’s got nothing on the challenge of navigating a marble around an old-school Labyrinth. But now that the Lego Ideas Marble Maze is finally available, you can swap in pieces to make it easier, or even more frustrating. First revealed way back in May of last year, and secretly on display at the recent New York Toy Fair, the latest fan-created Lego Ideas set will be available on April 1 for $70, and includes 769 pieces that can be used to build two different swappable mazes. The original design for the marble maze was created by Jason Allemann, of JK Brickworks fame, who we’ve featured countless times before. 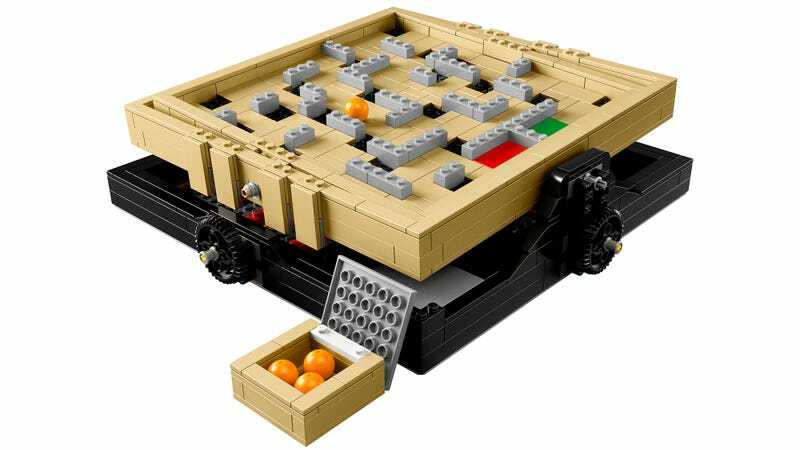 Once approved by Lego after garnering enough support on the Lego Ideas site, his Marble Maze was improved by professional Lego model designer Steen Sig Andersen to what will be available as an official set starting in April. And once it gets into the hands of the public, hopefully we’ll start seeing some truly wonderful alternative maze designs that will bolster the replay value of this unique playable set.